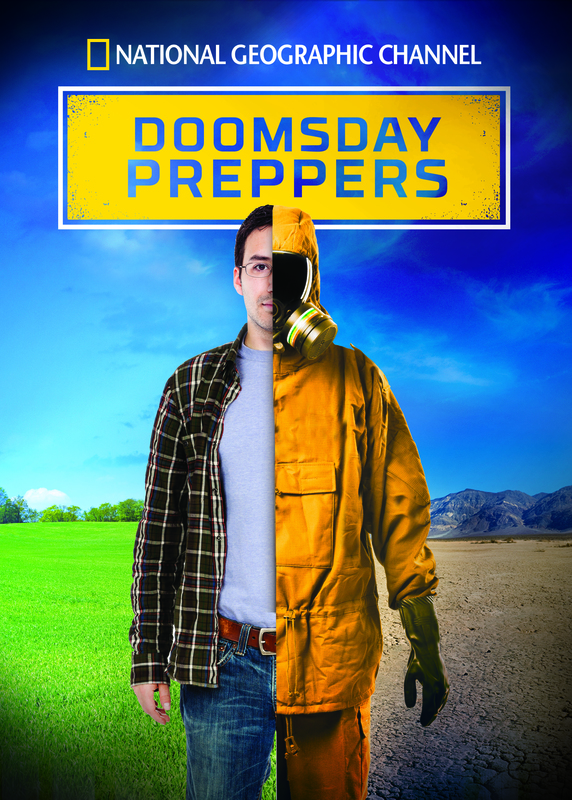 The new season of Doomsday Preppers premieres Tuesday, November 13th at 9 PM EST on National Geographic Channel, and I had a chance to sneak preview the first two episodes. 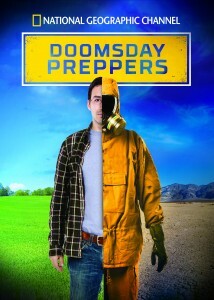 This season, NatGeo is introducing a whole new cast of preppers throughout the US. The show follows a similar format as last year with three different preppers featured each episode, critiques by Practical Preppers on their level of preparedness, and an update statement from each of the preppers on what’s been happening since filming. In the first episode, we meet Big Al from Nashville, who plans to bug out to his underground bunker 1800 miles to the west. Some interesting points brought up here from a guy who’s been prepping almost as long as I’ve been alive. Still, 1800 miles is a long way to drive to get to your safe house! Next is 15 year old Jason Beacham. At the risk of sounding like my grandma, bless his heart. This young man is on the right track to becoming a protector and provider for his family. He makes some mistakes, but don’t we all? And with a group of friends practicing bug out drills, he’s got a maturity level far above most teens I know. And he knows, “common sense and brains are something you need.” Keep it up, kid. The third family is the Southwick’s from Utah. Mom is not as sold on the whole prepping idea as dad is, but the family of 8 has a plan to escape town in the event of a small pox outbreak that they’re putting to the test and some unexpected twists arise on their bug out drill. Fun to watch and I love his portable chicken coop idea! Episode two will show right after the first episode, so don’t turn that TV off just yet! Next is Gary and Wilma Bryant. Wilma and her daughter are insulin dependent diabetics and this part has some really good ideas for anyone on a special diet or dependent on medications. And last, but not least, are Robert and Debbie Earl who have retired from Florida to what appears to be the middle of nowhere Texas. Oh, and they brought their 21 dogs with them. They appear a bit quirky, but maybe that’s just me or the editing crew. I’m just not sure how well their plan will hold up (water is key), or how exactly you build a shelter with the junk they’re collecting. I’d be interested in checking back with them a year from now and seeing what’s happening. And if you have a snake aversion, you may need to get up and get a drink during this part! One thing I’m glad they have changed this year is the format for the critiquing. Instead of random reviews, they are using a more fixed scale to judge various areas of the person’s preparedness. This works a little better, although it still would be nice to have a bit more explanation on why they give the scores they do. You can even take a quiz and get your prepper score to compare with the folks on the show! In these opening episodes, National Geographic has brought together a varied group of preppers and not made them look too wacky. I enjoy watching Doomsday Preppers just because there is always something to learn and ideas to glean and tweak to fit my own preparations. 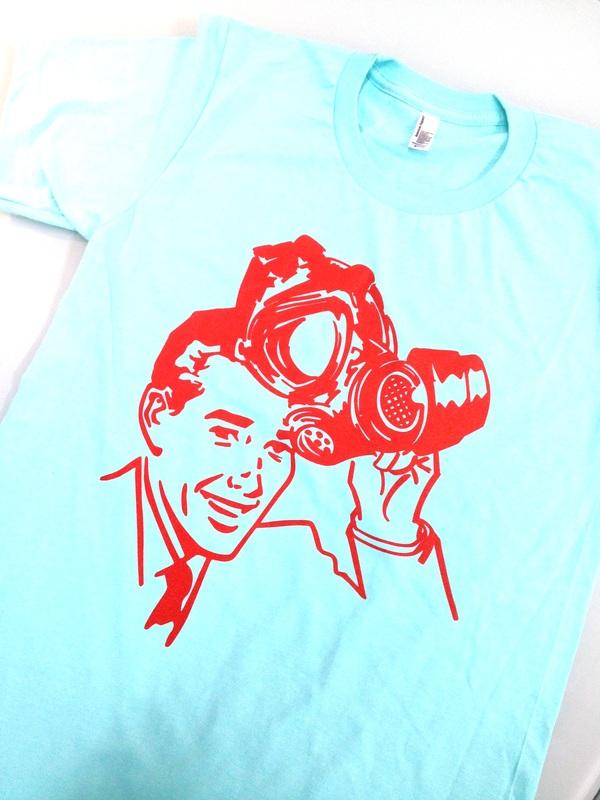 Be the hippest prepper in town in your Doomsday Prepper shirt! Don’t forget to tune in to the National Geographic Channel Tuesday night at 9PM EST to catch the first episode of the new season of Doomsday Preppers! 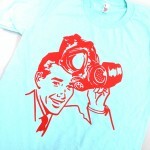 I so want a t-shirt. Wish we had cable TV to watch this one. Is it available online? I would love a tee shirt! I get a kick out of the show and as much as I hate to admit it, I always learn something…usually what NOT to do…. I’m looking forward to Season Two … I’m a huge fan and would proudly wear your T-shirt for all my friends to see!! Always learning something new when I watch the show … Thank you. Awesome preview. We’re going to be doing a live vote on our site to pick who comes off like a wacko and who comes off as a real prepper. Looking forward to the show!!!!! I was not aware of this show before this year. Will definitely try to catch it. Always looking for new inspiration as we are just starting a lot of stuff cuz we’ve been out on the big rig for 6 months this year and working oil fields the last five months! I think about “being prepared” all day, every day. I am not a panicked person, but I want to be prepared for the in known. I appreciate your website, and I enjoy Doomsday Preppers! Never seen the show before but will watch tonight – I’m always the last one to show up – my family even says I will be late to my own funeral. Maybe that’s a good thing in light of the looming scenario here in America. I don’t want a T-shirt; why be an advertising target? Who wants to be the last person on earth to survive? I grew up in a family of seven; my parents taught us that anything can be divided by two. If my family goes, I go. In fact, I’ll go before them if I can show up on time! Thanks for making this information available for open minded people. One of my top favorite shows! Definitely learn different variations on how to prep. Fox News had one of families talking about this show, I intend on watching. I am first to admit I am not ready, but I do have my hurricane box, with things to take and have scanned my important papers and pictures, after the four hurricanes hit us in one year, (FL) I will not be totally unprepared again. (since i live in a flood area, I cannot stockpile food here). But I do have a plan actual 3 plans depending on the way the storm might hit. What I remember most from season one is that you can use fish antibiotics for human aliments!! I had all of last season recorded till apparently D decided that his shows were more important seeing as how I never get around to watching the stuff I record. Maybe this year I will just watch them off the net instead. Am I too late to enter? I heard last season is on Hulu-can’t wait to watch! Nice to see some people trying to get people prepared. Since the recent hurricanes it is quite apparent that we all need to have some type of food storage and survival gear. I recommend starting out with a simple first aid kit followed by a 72 hour survival kit for each member of the family. When that is complete then storing a week’s supply of water is crucial. I appreciate your website. Being prepared should start with you. The ones with insulin dependency should look into storing and growing their own Salba or Chia seeds. Salba seeds are the best, but secondary and in the same family are Chia seeds. If they eat a low carb meal and then consume about 3 tablespoons of Chia seeds at that meal, they’ll eat less food because Chia makes you feel full if you consume them then drink a glass of water, and chia will help offset some sugar spikes in the blood. The leaves can be dried or used fresh steeped in water for some other medicinal type uses. Salba and Chia seeds are very high in Omega 3’s, some important minerals and such. So I say if you’re insulin dependant then do research online about Salba or Chia seeds and where you can purchase them, how to use them, and how to grow them. Yes I’m talking about those seeds they used to make the Chia pets, they are crazy good for you. Cinnamon is also a herb that helps stabilize blood sugars somewhat too, so that would also be something beneficial for diabetics to know about and maybe keeped stored up in case of need. 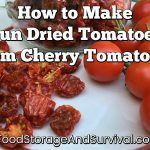 I think everyone with various medical problems who is a prepper needs to know about herbs that may help their conditions in the event they can’t get their prescription medications anymore. I know some people say eating a couple of stalks of fresh celery helps them keep their blood pressure down. I don’t know if freeze dried celery would do the same thing or not. I guess if you have the problem you should buy some ahead of time and try it out for a few days if your Dr. agrees it is safe for you to stop taking your medication for a few days while you try out the alternative. Just make sure to take your blood pressure often on those days if you’re Dr. says okay give it a try. I do not promote stopping any medication and replacing it with herbal or natural alternatives unless you’ve talked with your Doctor and he or she agrees and makes a plan you both can evaluate at a certain point afterwards.